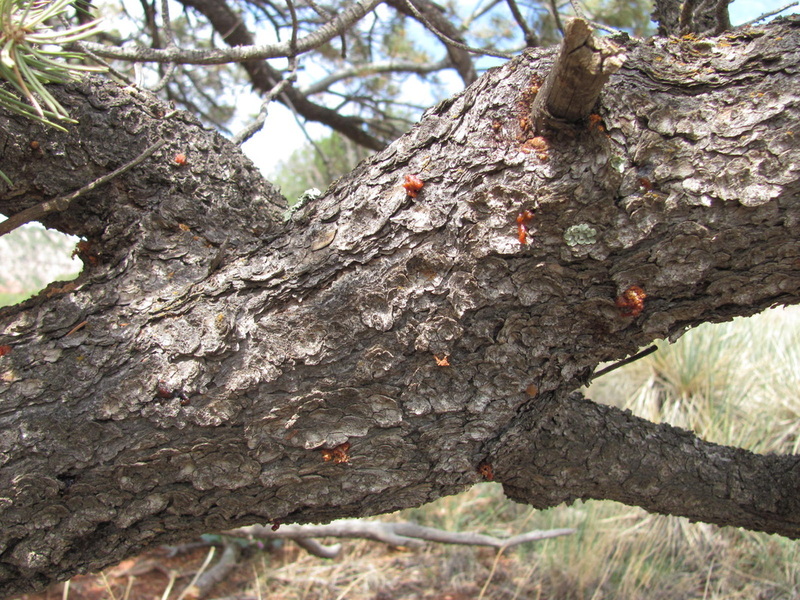 Ips Beetles attacked overgrown and weak stands of Pinyon leaving the area with standing dead trees and increased fire risk. - And opened up meadows for wildlife habitat! Aerial photos taken by Colorado Parks and Wildlife show a drastic change in landscape on treated acres compared to outlying areas. Our District Conservation Technician, Dave Hallock, has continued to monitor these sites for the last three years since the project was completed. Dave has noted that the native grasses and forbs have made a good comeback and the epidemic of the Ips Beetle appears to have subsided drastically. Landowners commented that they have seen an increase in wildlife sightings and that they were impressed with how much land has been made accessible by the project. 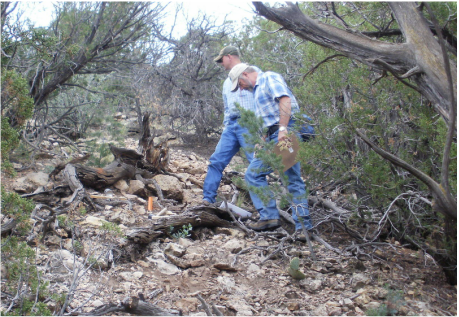 Dave Hallock (retired) and Nick Trainor (NRCS) marking monitoring points for data collecting uses. to learn more about the Ips confuses beetle. 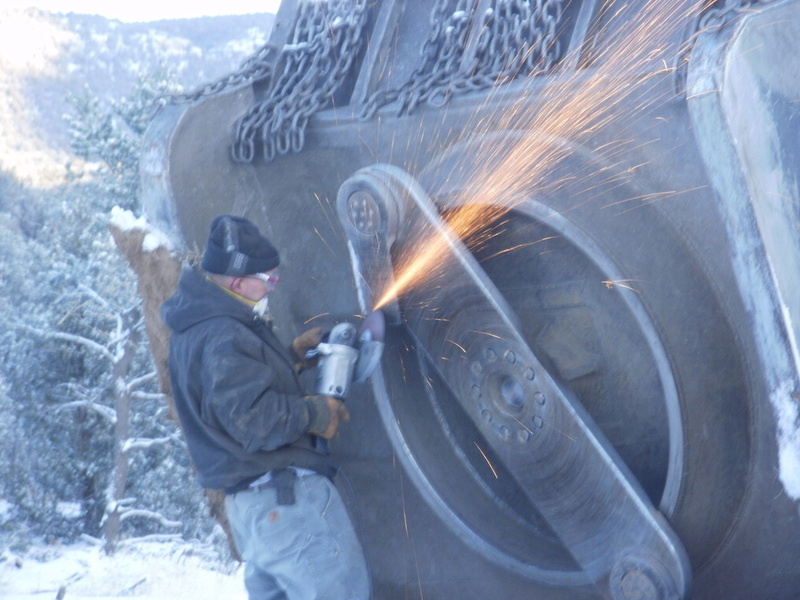 Hydro axes were used for majority of the treatment. These giant machines mulch trees from the top down and can throw out debris up to 300 feet. 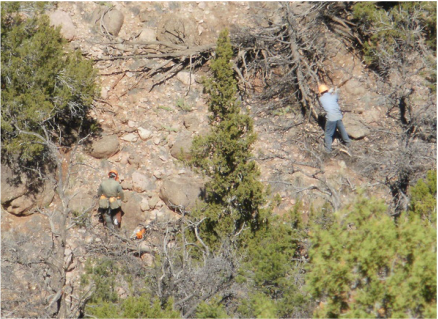 Chainsaw crews working on the steep terrain that the hydro ax machines could not reach.